Garage decor by Casey McCorison. (Only for his own garage!) Much easier said than done, but he did it and it looks great! Last week I was talking to a friend about a challenging situation and what action I knew I needed to take. I said, echoing those “other people” who avoided the tough tasks: “I’ve told myself this a dozen times, so I know what to do. Unfortunately, it’s easier said than……” I stopped myself, appalled that I would fall back on the idea that if it isn’t easy I should be excused for not doing it! That’s also one reason the 1988 Nike campaign, “Just do it.” was named one of the last century’s TopTenTag-lines by Advertising Age. It acknowledges our human tendency to put off doing things that are difficult, uncomfortable, challenging or not as appealing as something less worthwhile. The people at Nike headquarters say they have heard from people all over the world thanking them for that motivating line, eight letters long. What is it that you need to stop talking about and just do it? If you’re like most of us you probably have a list of things you know you need to do, want to do or intend to do, but haven’t done. Why don’t you do one of the things on that list right now or at least start it today? Whatever it is, it will undoubtedly be easier said than done because talk doesn’t take much effort. On the other hand, talk without action doesn’t result in much accomplishment. Do you know something you need to do about work, a relationship, a habit, a task or a challenge, but it’s easier said than done? WOW! Are you sure he won’t do that for our garage? Mike is standing here and says he would love it for a birthday present! My “just do it” list has about a dozen things on it. I promise to get started today. I would do it better if Casey would come over and decorate our garage! LOL LOL!!!! 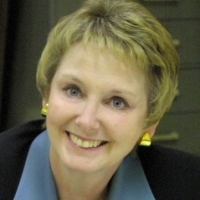 Tina says: Denise and Mike, this would be a great project for a loving couple. (They might not be so loving when it is done though!) It does look incredibly good! 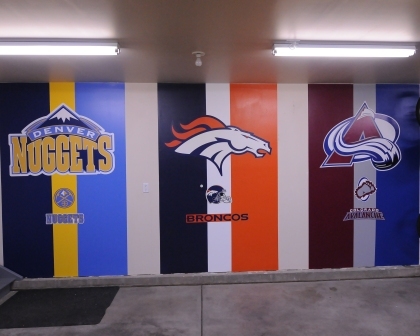 First, I’m impressed with the garage wall.I think that will inspire me….except I’ll have Bengals, Reds and Wildcats. Second, “Just do it” has gotten me out of bed and in the gym for years. I can see I should apply it to work and other things too. Good article. This probably isn’t brand new advice but I’ll leave it anyway…..sometimes just getting started is the best way to just do it. Even with manager issues that’s a good method. If you ask someone to step into a conference room, you have to say something. If I call a number I either have to hang up or take care ofsomething when they answer. For me it’s jst a way to kick myself where its needed.